The agreement will authorize a $23M spending goal, most of which will come from the city-county Houston Street Tax Increment Reinvestment Zone. Construction will begin mid-2018, with a goal to open the theater in 2020. 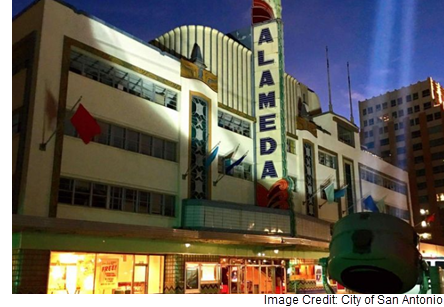 The Alameda is only one of a number of projects revitalizing this designated state cultural arts district. The $175 million​ San Pedro Creek Improvement Project will add a linear park alongside the Alameda. The $142 million 23-story Frost Bank Tower will be the first office tower to go up Downtown since 1989. Make sure to check this out: "Money, I'm Home"—Billions develop Alamo City​.